All occupational health and safety practitioners (OHASPs) need to have a common core of knowledge in order to practise effectively. The NEBOSH National Diploma aims to provide the knowledge and understanding that underpins competent performance as an OHASP. Prerequisite(s): The NEBOSH National General Certificate [or comparable QCF level 3 award] is the suggested prerequisite qualification for the NEBOSH National Diploma Course. However there are no formal entry requirements set by NEBOSH and those students without the NEBOSH National General Certificate will be considered on a case-by-case basis. Designed to provide students with the expertise required to undertake a career as a safety and health practitioner and also provides a sound basis for progression to postgraduate study. 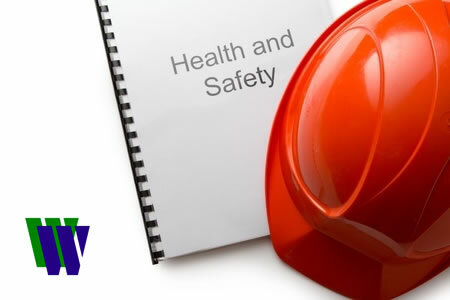 The NEBOSH National Diploma qualification meets the academic requirements to apply for Graduate Membership (Grad IOSH) of Institution of Occupational Safety and Health (IOSH). This is the first step to becoming a Chartered Health and Safety Practitioner as a Chartered Member of IOSH (CMIOSH). It also accepted by the International Institute of Risk and Safety Management (IIRSM) as meeting the academic requirements for full membership (MIIRSM). Holders of the NEBOSH National Diploma in Occupational Health and Safety may use the designatory letters “DipNEBOSH” after their name. Those who hold the NEBOSH National Diploma are eligible to apply for the CSCS Academically Qualified Person (AQP) yellow/white card whilst they gain vocational qualifications or membership of a recognised professional body. This card is valid for five years and is currently non-renewable. All applicants must still pass the CITB Managers and Professionals Health, Safety and Environment Test. Units A, B and C are each assessed by one three-hour written examination. All questions are compulsory. Unit DNI is assessed by a written assignment of approximately 8,000 words, designed to test knowledge across the syllabus by assessing application of health and safety theory and practice (Unit DNI). Block Release (Full Time) course – Total course is 7 x 1 week blocks, plus 3 days for the examinations. The Block Release (Full Time) course duration can vary from 12 months to 60 months, depending on when you choose to study each core unit. The average course duration is about 18 months. E-Learning course – 243 hours e-learning, 225 hours self-study, plus 2 days exam & revision per core unit. Please see our course calendar for dates. Workington – Energus, Blackwood Road, Lillyhall, Workington, Cumbria CA14 4JW. Please note that all the NEBOSH National Diploma examinations and revision days are always held at our examination venue in Workington. If purchased as a package, the cost of the full course is discounted to £5,500.00 + VAT = £6,600.00 per delegate. With the discounted package purchase you are guaranteed a place on all of the unit course dates that are specified when you make your booking. However, should you want to change your booked unit course dates after starting your training, a £350 + VAT unit transfer fee will be charged. The e-learning materials also include revision and exam support materials. Each course booking initially comes with a 2 year licence for the learning and support materials, allowing you plenty of time to learn the material at a pace to suit you. The course materials for the e-learning package costs £1,800.00 + VAT. In addition to buying the e-learning materials you would need to pay the NEBOSH Enrolment and Registration Fees as well as our administration / invigilation fees when you decide you are ready to sit one or more of the examinations. The NEBOSH Enrolment Fee is currently £60.00 (no VAT). In addition to that fee, for each Unit Examination [A, B, C and DNI] you wish to sit you also need to pay a NEBOSH Registration Fee of £83.00 (no VAT) and our Per Unit administration / invigilation fee of £55.00 + VAT. We find that this approach offers our learners the maximum flexibility to fit the course around their hectic schedules.